CalDigit、USB 3.1(Gen 2)に対応しUSB-Cポートを搭載した防水・防塵・耐衝撃構造のストレージ「Tuff Series」を発表。 | AAPL Ch. 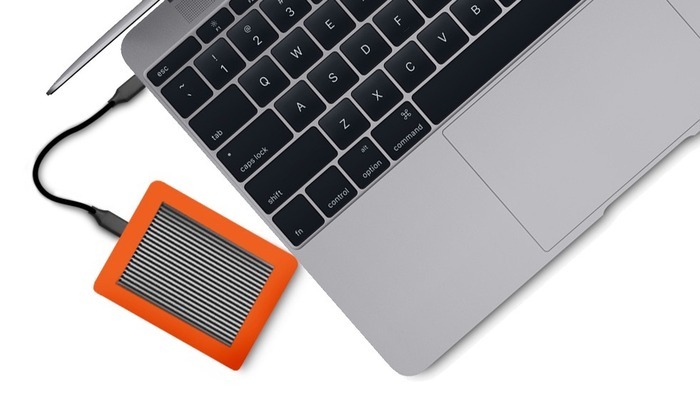 CalDigit Tuff starts at $139.99 for 1TB HDD with availability starting in July (new MacBook orders currently deliver in 4-6 weeks). A solid state drive version with up to 1TB of storage will also be available while a higher capacity 2TB HDD option will be offered. CalDigit Tuff with USB-C features speeds up to 450MB/s with support already included for up to 550MB/s with USB 3.1 Gen 2 devices. 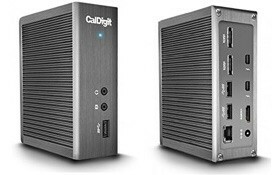 CalDigit T4 nano with Thunderbolt 2 races at up to 1375MB/s transfer speed. Available in Q3 2015, CalDigit T4 nano will be priced at $2,499 for 2TB PCIe SSD.